Challenges of mechanical ventilation in unilateral pneumonia: is PEEP the answer? Barotrauma during mechanical ventilation: why aren’t we seeing any more? Can peripheral venous pressure be interchangeable with central venous pressure in patients undergoing cardiac surgery? 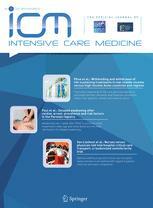 Can the experienced ICU physician predict ICU length of stay and outcome better than less experienced colleagues?